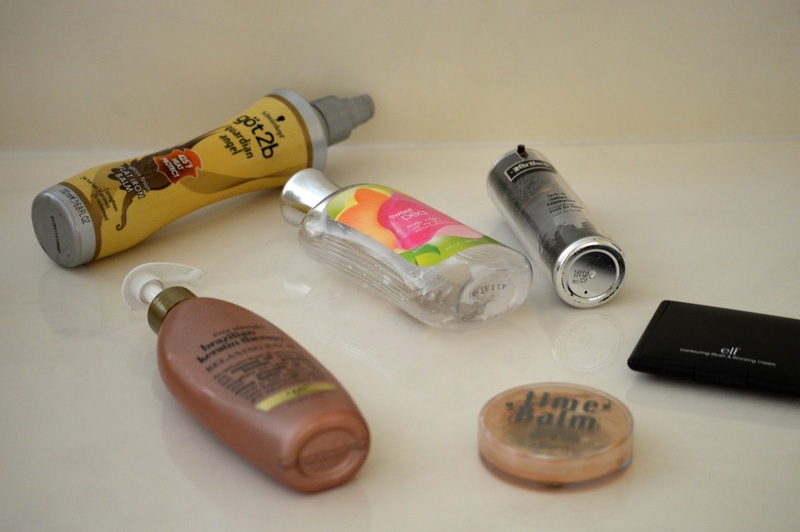 However these empties I've collected are actually a few of my staple beauty products. So, would I repurchase these? Unfortunately the time has come for me to part ways with Got2B. I have been buying this flat iron balm for quite sometime (5 years now?). I always liked the way this product smelled and that was certainly one of my reasons for purchasing this spray, but the time has come for me to try other flat iron balms. Hopefully something cheaper, has more product, and can make my hair sleeker. Any recommendations? Kat Von D Beauty and Lock-It Tattoo foundation has been through so many important moments of my life whether it be for my senior prom or graduating high school. I almost always wear this foundation on JMC! This will be in my makeup bag until KVD makes a new formula or gets rid of it in which case I would cry, or buy all of medium 52. I honestly will continue repurchasing until I find a dupe with exact results which is pretty doubtful. elf Contouring Blush & Bronzing Cream ? Eh, I bought this product on a whim and didn't hate it or love it. I enjoyed the creaminess of the blush and bronzer, liking the bronzer a little bit more. I've been really dying to try Sonia Kashuk's cream bronzer so I'm excited to see this go. The one thing I disliked is that the blush, like most elf blushes, applies naturally and rosy to clown-like if you accidentally have too much on your brush. timeBalm Foundation The Balm ? Overall I really liked this foundation by the Balm, it was a good colour for my skin (medium), excellent coverage (medium to high), and very affordable ranging from $16-20 on eBay. The one downside is the heaviness that I felt this foundation had, since it was a cream foundation. I'm not sure if I would repurchase this as I am retrying Sephora's 10 HR Wear Perfection Foundation. If I don't like this foundation I will definitely buy Time Balm again. When I got to the bottom of this product I started heating it up with a hair dryer and I think that made the application even better, I would definitely try that upon application again. This relaxing balm is my holy grail hair treatment. I have super fine semi wavy hair, yet I crave super sleek hair (picture Aishwarya Rai's meets Kendall Jenner's), and I can achieve it with this product. The balm lasts for 7-8 months for me even with my extremely long hair. It also feels super light weight no matter how much I apply in my damp hair. Good for my wallet, good for my hair, and it smells like coconuts definitely a repurchase. Sweet Pea Body Lotion - Bath & Body Works ? In all honesty when it comes to Bath and Body Works I have two simple rules. One, the purchase must be affordable (I refuse to spend $12 on body lotion. Pass. You can find me at the semi-annual sale with coupons and scouring the 75% off bins, I have no shame). Two, the lotion must smell good (Not very difficult). I think I bought seven bottles of Sweet Pea for $2.33 a piece, which wasn't a bad deal when the lotion was around $10-$12 originally. However, I learned the hard way a long time ago not to become too attached to B&BW scents (apart from the sleep collection) as scents tend to be discontinued. I love Sweet Pea, but it's not my favorite, and I'd like to try something new. What is my favorite B&B scents you might ask? Dark Kiss lotion, and Charmed Life body wash. Yours? What are some of your empties? Any recommendations?! For some strange reason I love seeing an empty product almost more than I like buying something brand new. - SAME. Thank goodness I'm not alone. 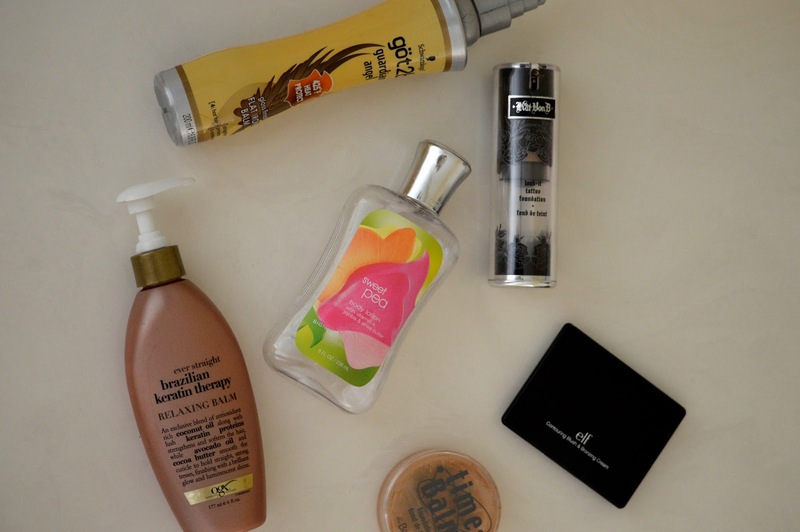 I agree I love empties posts/ videos! They're the most entertaining to me for some reason? Except collecting empties kills me as I want to recycle them immediately >.< but I hope to do another post like this when I collect some more! Awh thats very sweet of you to say. Get some sleep! JMC will still be here in the morning, thanks for stopping by! Thanks for sharing! I love Bath and Body Works lotions too! Organix makes some really great products. Love the relaxing balm! I haven't tried these products, but I would like to try elf contouring blush. I have heard great things about the Kat Von D foundation, i will have to check it out! 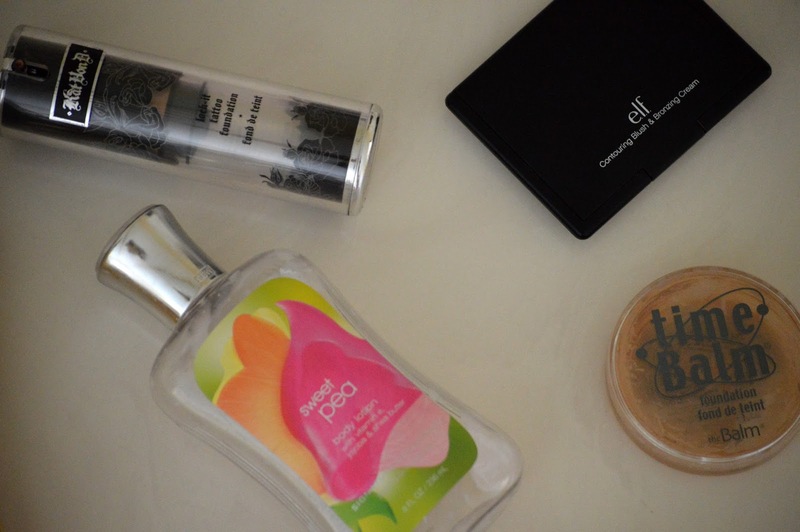 I absolutely love that lotion! I have to use it sparingly because my skin is sensitive. I literally cannot live without is my smash box eyeshadows! Great selections. Thanks for sharing! I loooove the sweet pea scent! Always and forever! 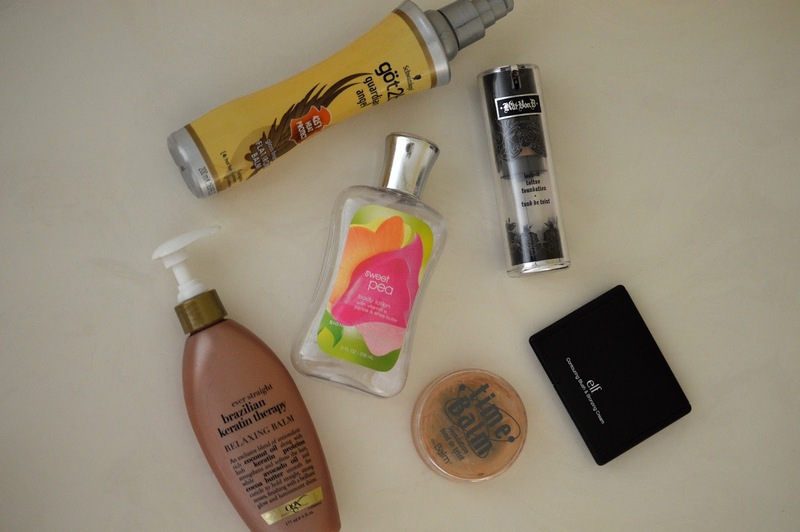 I love the Organix range! I'm yet to try the keratin treatment but it sounds perfect for my frizzy hair! It's awesome you have to try it! Great post, Ill have to try some of the products! We're twins! I'll keep you in the loop! My salon uses R&Co but I honestly never want to pay a lot for a heat protectant spray =(((( Life hurts being a cheapskate.